We're Proud to Serve the Members of NJEA, UFCW Local 1262, and the NJ Policemen's Benevolent Association. Public transportation is a great way to save money, avoid congested New Jersey traffic jams, and lessen our overall carbon footprint. Buses are one such common method of public transportation and offer an alternative to traveling by car for about half a million New Jersey riders every day. Unfortunately, alongside that convenience there is also a danger for both bus riders, other drivers, and pedestrians. If you or a loved one has been injured in a car accident, motorcycle accident, pedestrian accident, or any other accident involving a bus, you may be entitled to financial compensation for your injuries. The personal injury lawyers of Chamlin, Rosen, Uliano & Witherington take pride in serving clients injured in bus accidents in local New Jersey towns including West Long Branch, Freehold, Wall, Ocean County, Eatontown, Long Branch, Red Bank, and the greater Monmouth County area. We have built a stellar reputation in our community by finding fair and full compensation for accident victims. Our firm believes in treating all clients with the individual attention and respect we would hope to receive in the wake of an injurious accident. Call our office today for a free and confidential consultation with a member of our legal team regarding your bus accident, your injuries, and your potential personal injury claim. In most cases involving a bus accident, the at fault party will be the organization who owns and/or operates the buses. However, there are a few different situations which may find different parties liable. Our Red Bank personal injury lawyers will need to examine the details of your accident in order to advise the best course of action. Bus Companies – as mentioned above, the organizations who own, operate, and/or maintain buses are most likely to be found at fault for a bus accident. This can include driver error, improper maintenance, lack of training for the drivers, and more. Bus Manufacturer – in some cases, if a bus has a mechanical failure which was the fault of the manufacturer and not the fault of the bus owner, we may move to find the manufacturer or distributor liable. Examples may include catastrophic parts failures, or a manufacturer who knowingly produced and sold a defective product. 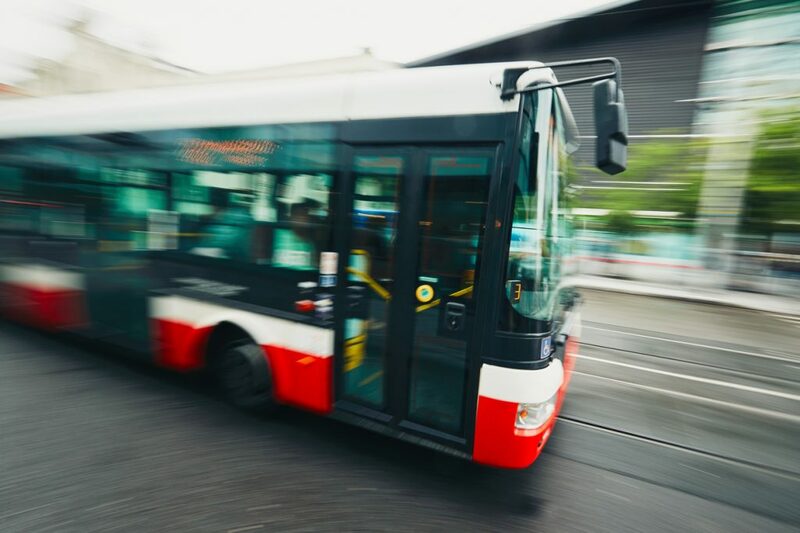 Premises Liability – if dangerous conditions were the primary cause of your bus accident, our Red Bank lawyers also have the option of going after the property owners or entities responsible for their upkeep. If this includes Pennsylvania government property, we will need to move quickly to adhere to specific statutes of limitations. In the immediate aftermath of an accident, it is a great idea to seek medical attention right away. This is not only an important step towards your recovery and medical treatment, but it is also crucial to your personal injury claim. By receiving a diagnosis from a medical doctor, we have legally shown that your injuries existed on that date. The further removed your doctor’s visit is from the accident in question, the weaker that connection becomes. Other proactive steps may include finding an experienced personal injury attorney. Insurance companies will often attempt to quickly and inexpensively settle claims by offering lowball, lump sum settlements which take advantage of desperate victims. Do not be pressured into accepting less than what is fully owed to you. A qualified personal injury attorney will set realistic expectations and help you reach a fair financial settlement or verdict. At The Law Office of Chamlin, Rosen, Uliano & Witherington, our personal injury practice is focused on serving those injured in our local community. We have decades of experience protecting the legal rights and recovering compensation for clients across New Jersey towns like Long Branch, Red Bank, Wall, Ocean, West Long Branch, Freehold, Eatontown, Ocean County, and all of Monmouth County. We believe in offering more than legal advice, but also support, compassion, and kindness for those experiencing a difficult time in their lives. To speak with a member of our qualified legal staff in a free and confidential consultation, contact us online or call our West Long Branch offices by dialing (732) 440-3950 today. We will be standing by to hear the details of your bus accident and to learn more about how we can best serve your individual needs. Chamlin, Rosen, Uliano & Witherington of West Long Branch, New Jersey, provides representation throughout Monmouth County including Asbury Park, Belmar, Colts Neck, Deal, Eatontown, Freehold, Hazlet, Holmdel, Howell, Lake Como, Long Branch, Manalapan, Manasquan, Marlboro Township, Middletown, Neptune, Oakhurst, Ocean Township, Redbank, Shrewsbury, Spring Lake, Tinton Falls, Wall Township, West Long Branch, and Freehold Township; Ocean County including Bayville, Brick, Jackson, Lakewood, Lakewood Township, Mantoloking, Point Pleasant, Point Pleasant Beach, and Toms River; Middlesex County including East Brunswick, Milltown, New Brunswick, Old Bridge Township, Perth Amboy, Sayreville, South Amboy, South River, and Spotswood. Not sure where to begin? We welcome all inquiries and will help in whatever way we can. © 2019 Chamlin, Rosen, Uliano & Witherington. All rights Reserved.